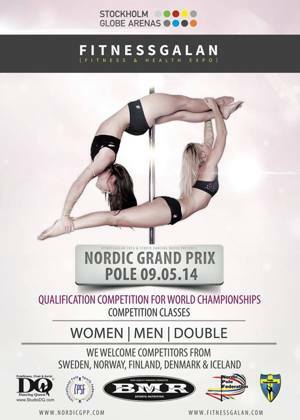 Important Info: Nordic Grand Prix - 10 spots for Amateur added! | Polefitness, poledance, aerial och chair danskurser i Stockholm -Välkommen till Dancing Queen! Due to requests and our desire to create competitions where also 'newbies' can compete in we are adding 10 spots for an amateur category at the Nordic Grand Prix! As an amateur you do the competition on the same rules as the elite but with no compulsories. -You have not competed in a professional or elite category before. - You have not placed in any competition. - You are not or have been a instructor in pole. -You have not competed internationally. The category is mixed (men & women) and you have to apply via video link.